WE Cinemas is not an agent of the merchants and makes no representation as to the quality of goods and services provided. Your participation implies your consent to receive future marketing and promotional messages from WE Cinemas and Eng Wah Global. Actual product may vary from visuals provided. WE Cinemas reserves the right to amend these terms and conditions or substitute any of the prizes, without any prior notice. 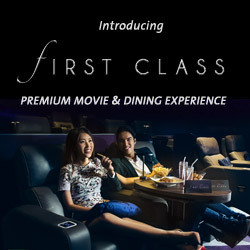 In the event of dispute, WE Cinemas’ decision is final. Not yet a member? Join Now. Membership is complimentary for a limited time only.